Aghios Pavlos, Triopetra and the Palm Beach Preveli. The bus takes us through some little villages and trough the imposing Kourtaliotis Ravine to the beach of Damnoni. There our boat is waiting for us and then sailing east we reach our first destination – the Palm Beach Preveli. Time for a refreshing swim and for a walk through the unique tropical palm forest. Leaving the Palm Beach Preveli we continue sailing east. 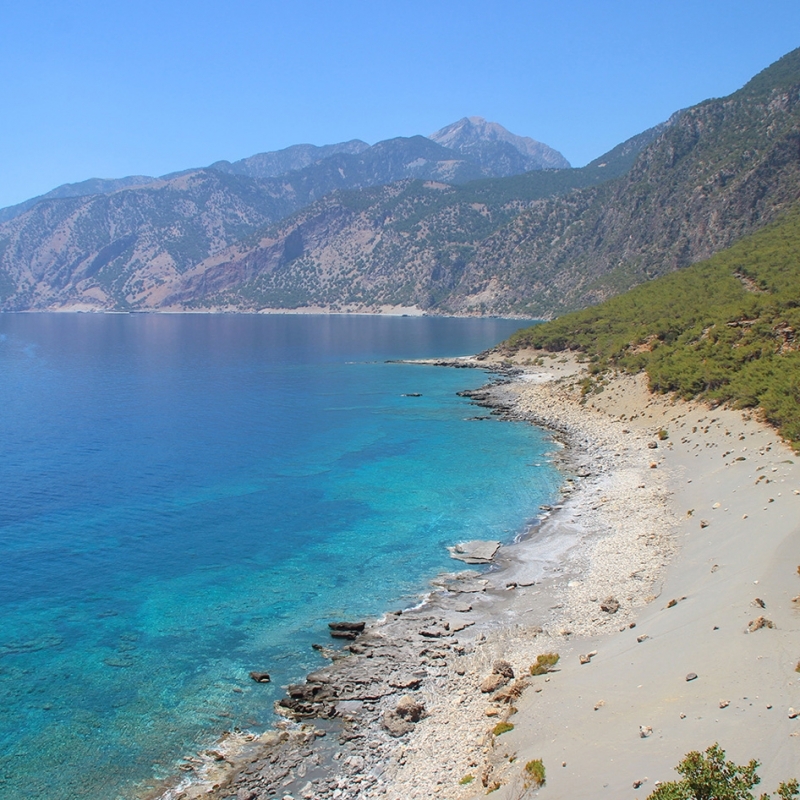 The next destination is the sandy beach of Aghios Pavlos. There you have the opportunity to take from the boat some exceptional photos of the unique beauty of this place. The third beach and kind of main goal of this tour is the sandy beach of Triopetra (Three Rocks). There we have time for one more enjoyable swimming in the crystal clear waters of the Libyan Sea, for sunbathing and relaxing and for a well-deserved lunch at one of the local taverns. Afterwards we take our boat again and sail back to the beach of Damnoni.